PES6 Option File 2014 is a file to update your Winning Eleven Pro Evolution Soccer 6 game to the latest players, stadiums and jerseys according to latest transfer 2014. 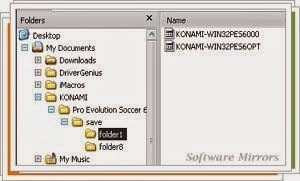 To be able to use PES6 Option File 2014, you must first remove the old option file. Remove the option file will also mean to delete all your saved game.That means that all your league that in progress or saved match will be removed.